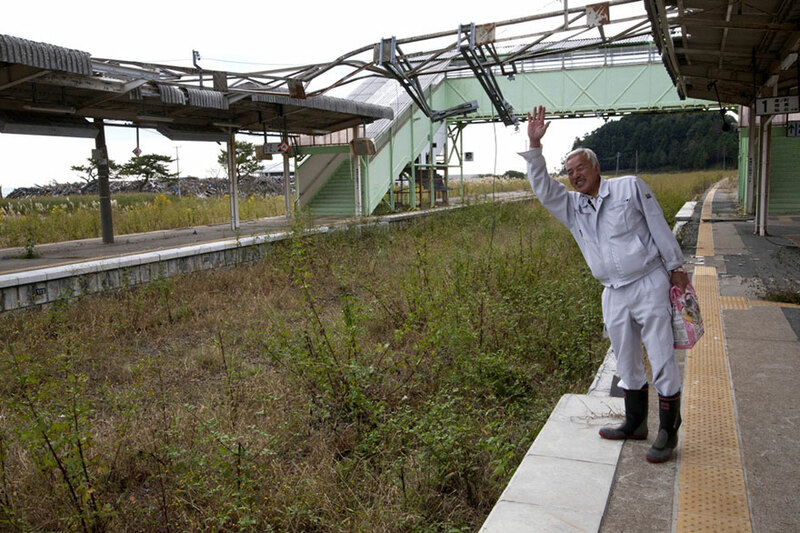 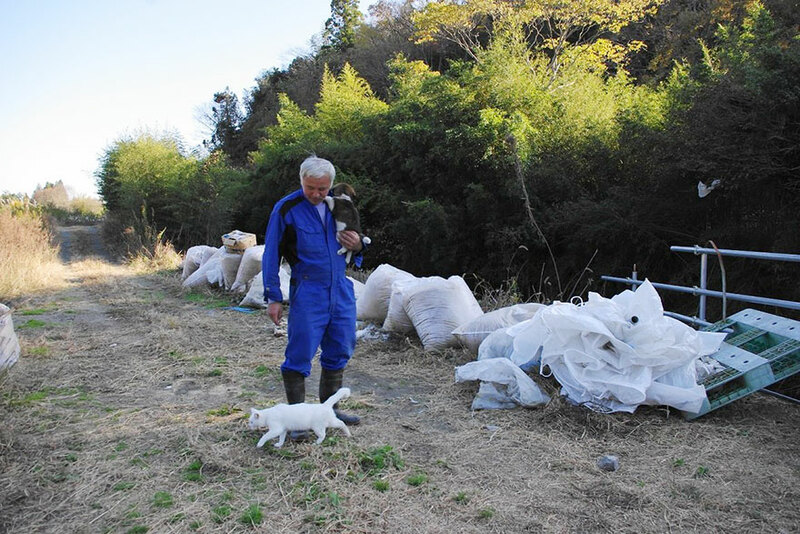 Known as “the last man from Fukushima“, 55-year-old Matsumura is the only person still living in the exclusion zone around the Fukushima Daiichi nuclear plant, which suffered a meltdown after the major earthquake and tsunami that struck Japan on March 11, 2011. 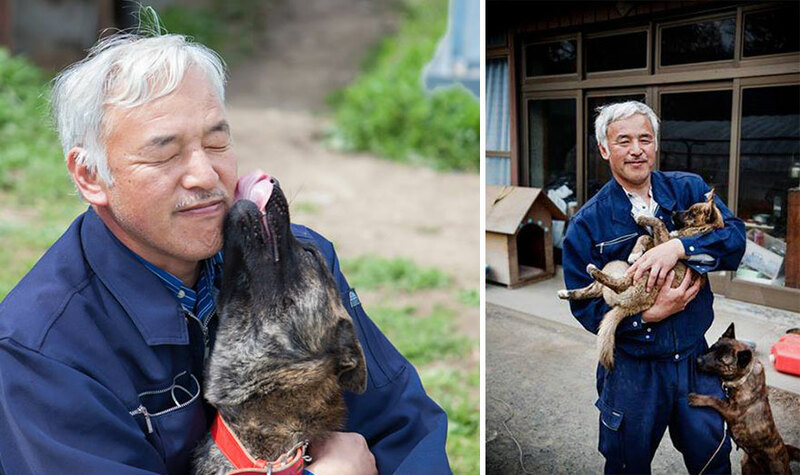 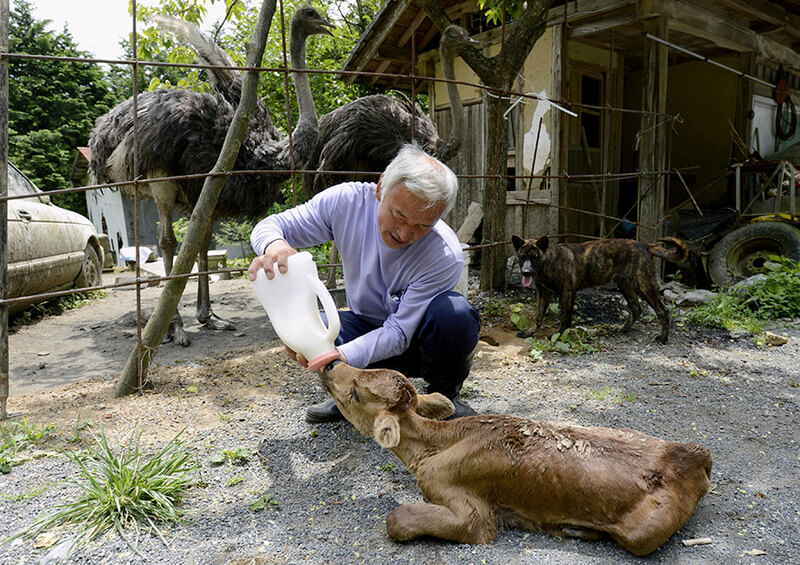 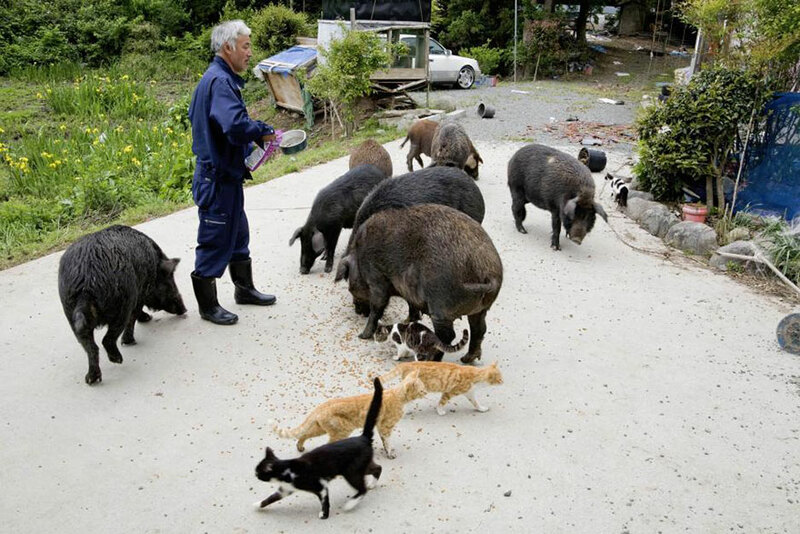 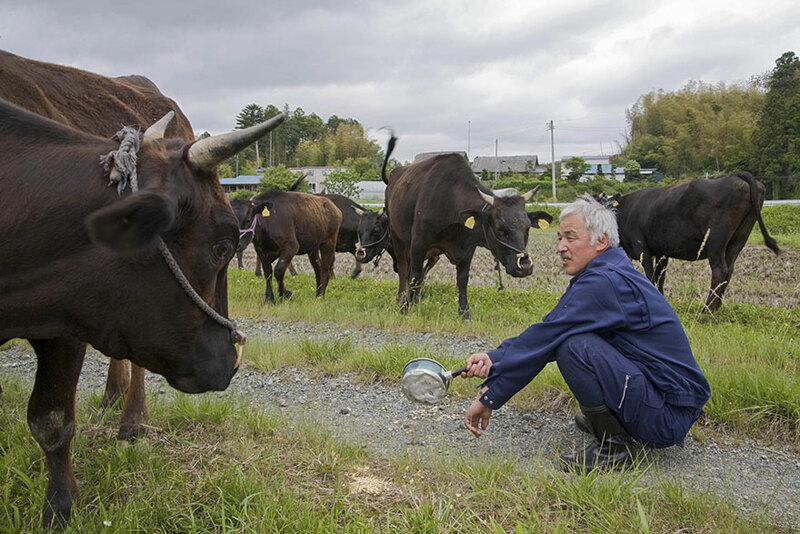 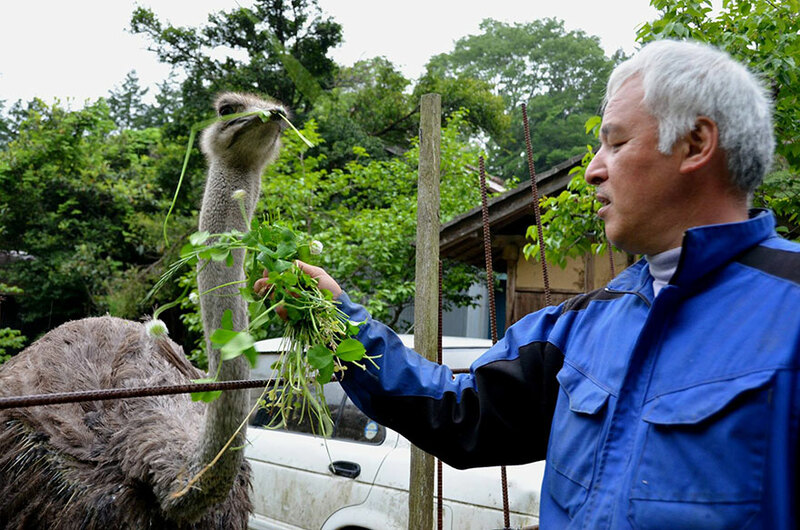 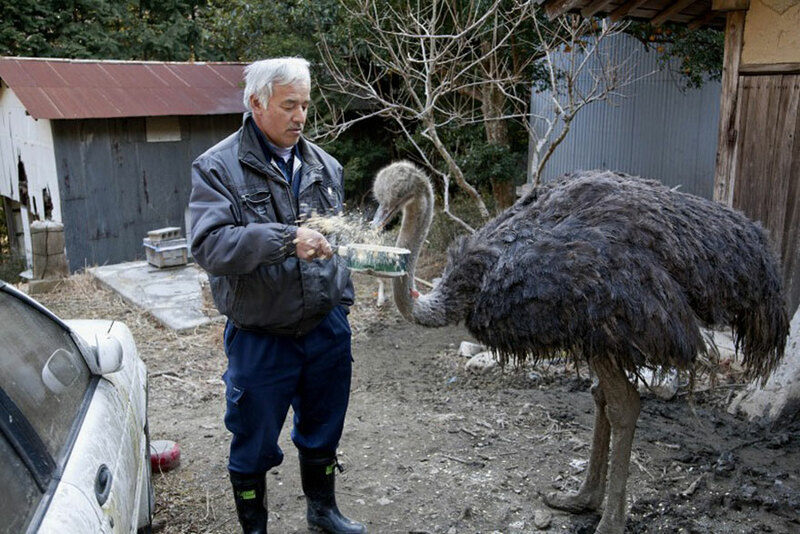 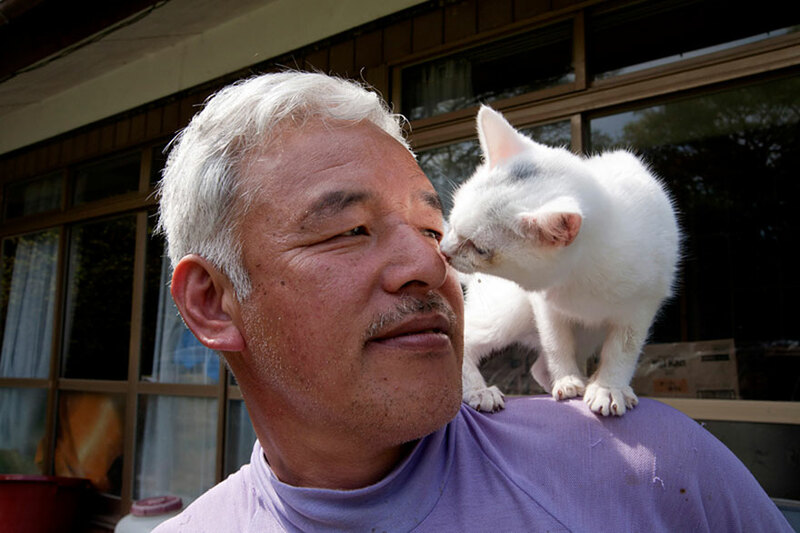 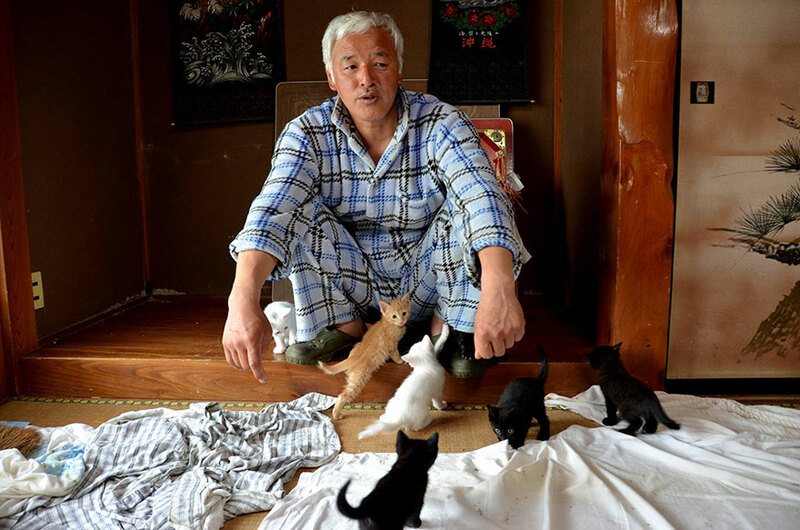 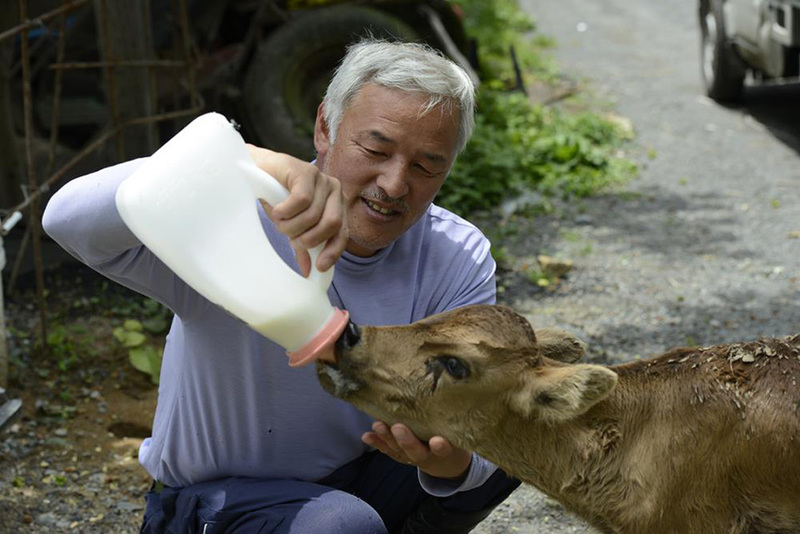 He lives in the small town of Tomioka, seven miles from the power plant, where he looks after all the animals that were abandoned when the area was evacuated. 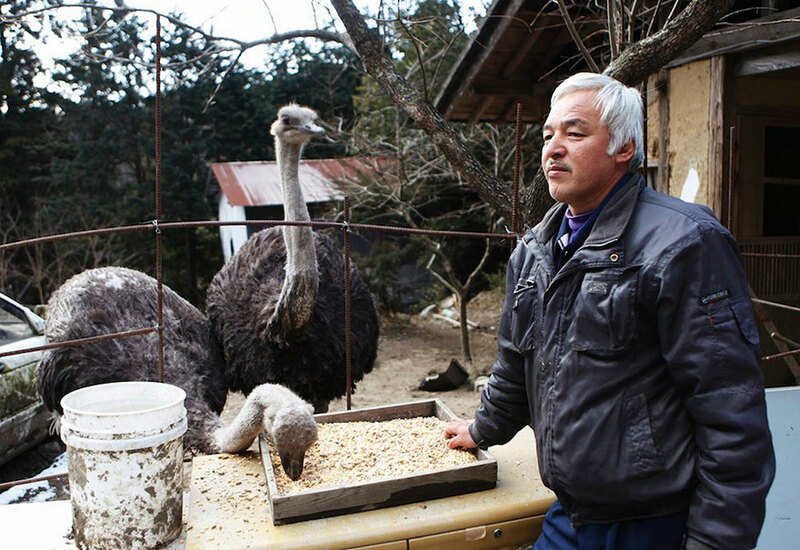 Nicknamed Macchan, he looks after dogs, cats, cows, horses and ostriches. 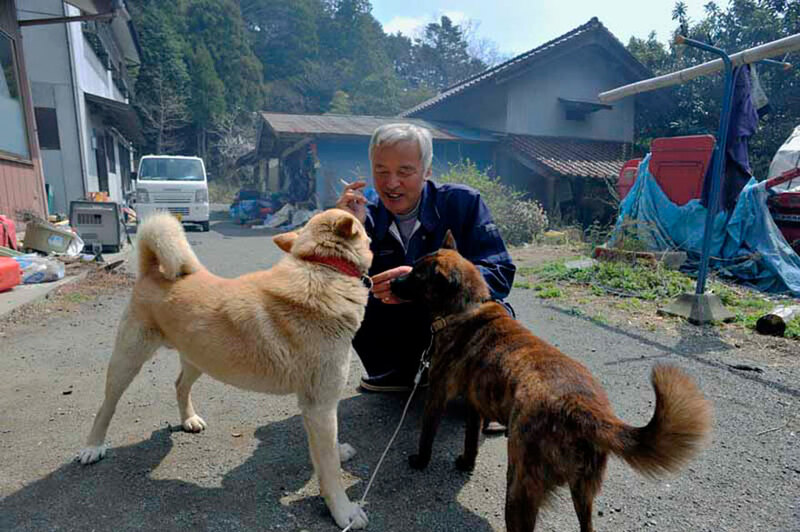 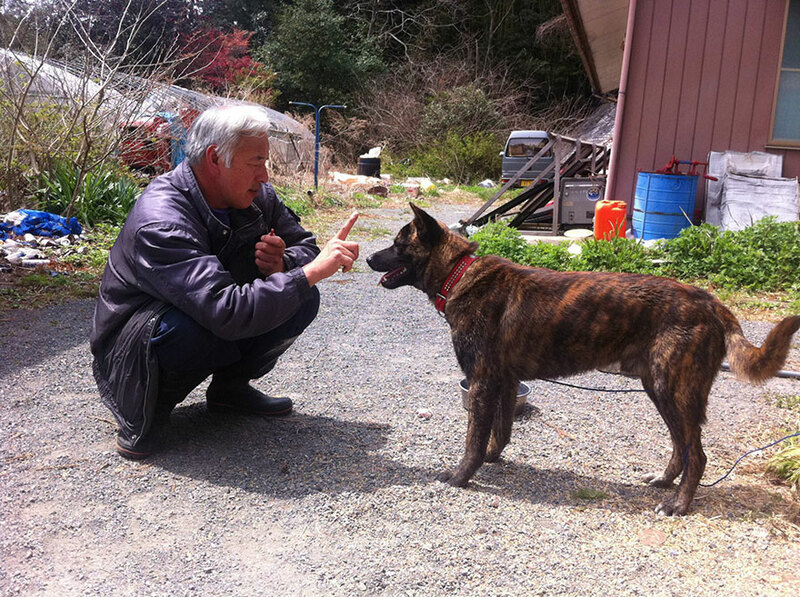 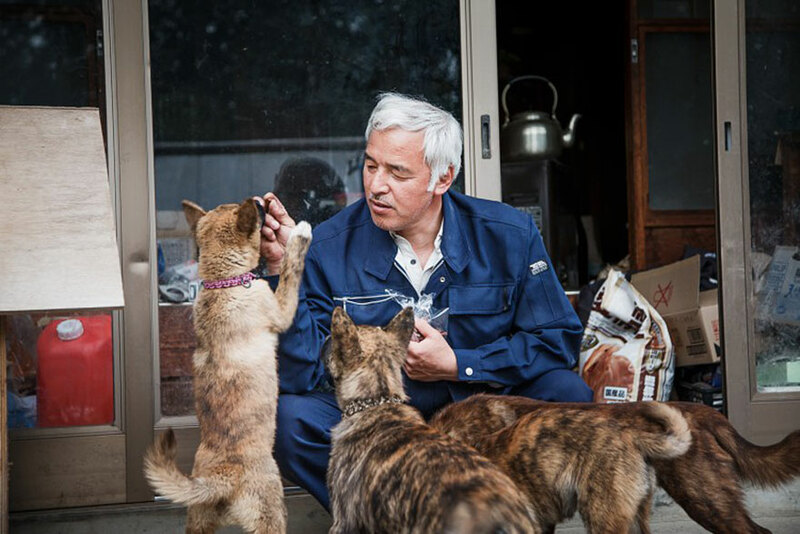 He did initially leave the area after the devastating earthquake struck, but returned to feed the dogs.